Hi Friends! I feel like my blog was really neglected in December and now I've done 3 blog posts in a row! Go me!!!! When I found this link-up, I thought it was perfect because I had just done some pinning yesterday! I already shared a pin on my "Five for Friday" post, but I'll share it again if you missed it! 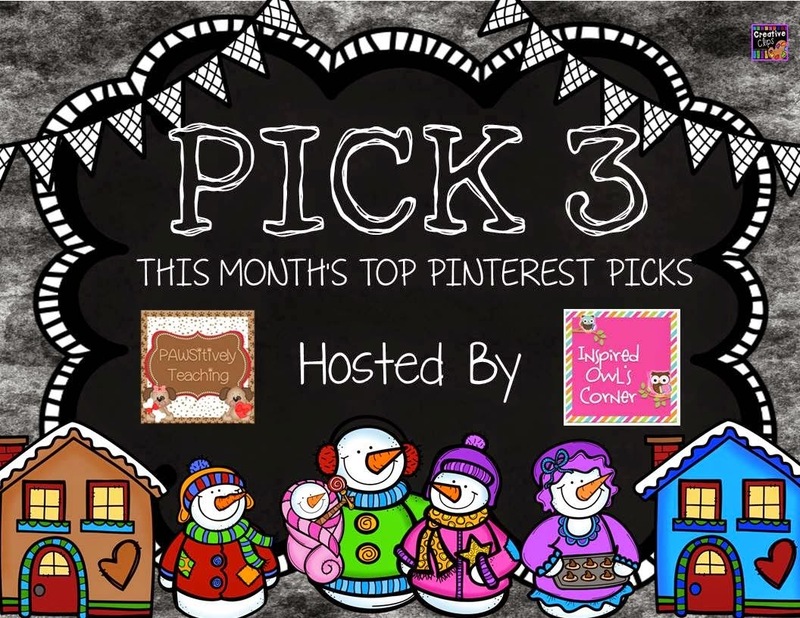 I'm excited to be linking up with Pawsitively Teaching and Inspired Owl's Corner for the January Pinterest Pick 3 Party. 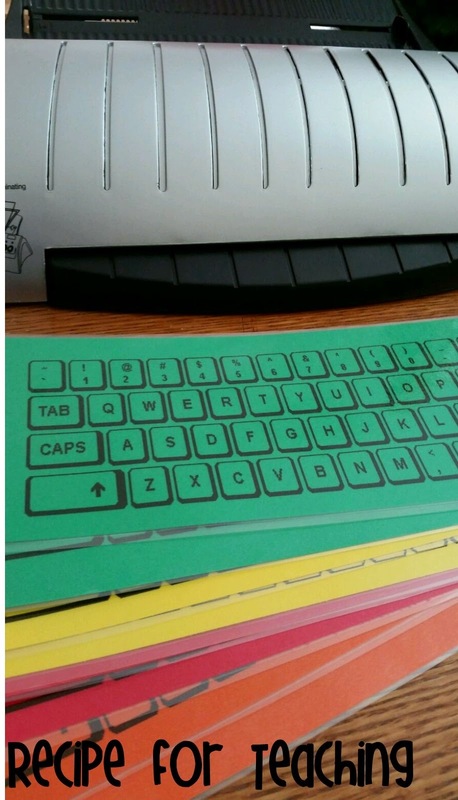 Keyboard Printables - I seriously LOVE these! 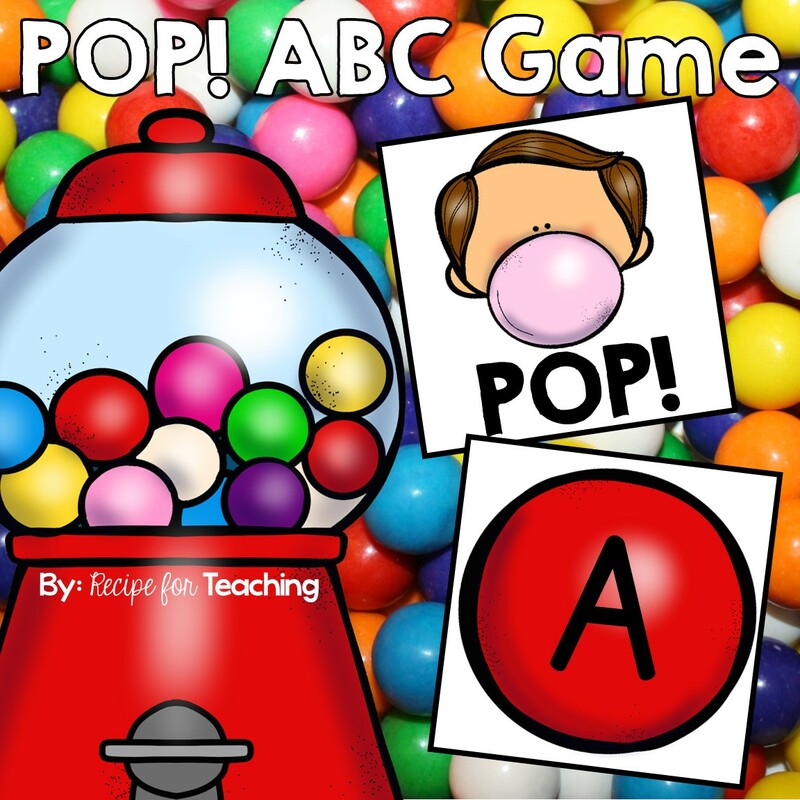 I found this pin over at Primarily Speaking and loved it so much that I already printed and laminated my own keyboards to use with my students at the "Word Work" center. It's ready to go for next week! I'm going to have their word wall words at the center and let them "type" the words on the keyboard. 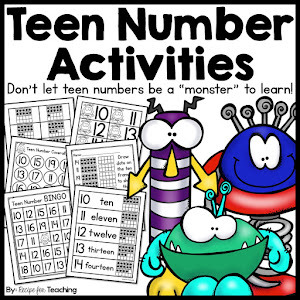 I plan to eventually have my students type their writing on the computer and I really think this will help them learn where the letters are on the keyboard. Marshmallows and Toothpicks - Our 100th day of school should be this month. I have used marshmallows and toothpicks with my students before to build 2D and 3D shapes, but I've never thought to have them use them on the 100th day of school. The idea is to give groups 100 marshmallows and 100 toothpicks and see which group can build the tallest tower in a set amount of time. What a terrific STEM project to do for the 100th day of school! 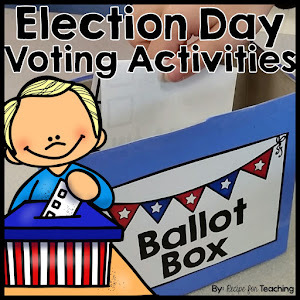 This idea can be found over at The First Grade Parade and she also has a ton of other fabulous 100th day of school activities! 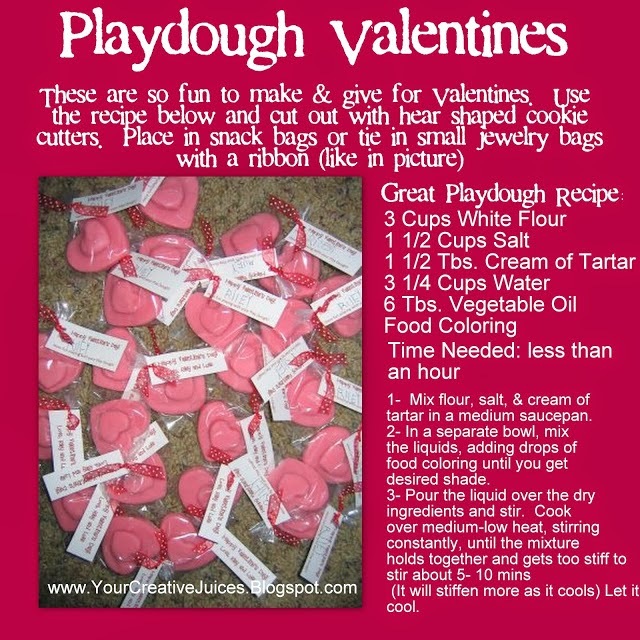 Playdough Valentines - I know this is for February, but I need to think ahead!! I am always looking for ideas for student gifts and this is adorable! I might have to attempt this for Valentine's Day for my students! This idea can be found over at Creative Juices. If you want to follow me on Pinterest, click the pinterest button on my blog to go to my page! Can't wait to check out some of the other pins! Stop, Swap, & Roll with a GIVEAWAY!!! Five for Friday on Saturday!! Favorite Things & Hump Day Highlight!